The first film in the K: Seven Stories six-part series, R:B ~Blaze~, will air in Japan on July 7. The PV previews Angela’s “SURVIVE!,” the opening theme song for all six parts. 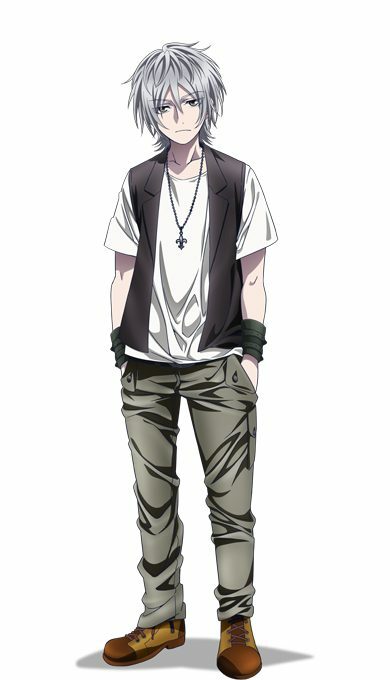 The first installment of the K: Seven Stories anime film series K SEVEN STORIES EPISODE 1 “R:B ~Blaze!” has released a new key visual and a new cast member. 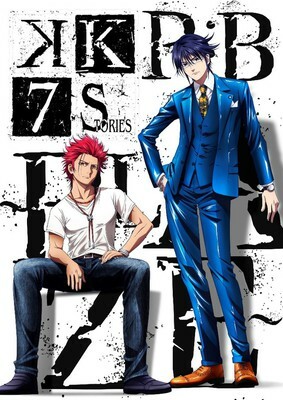 The Visual poster features the Blue King (Reisi Munakata) and the Red King (Mikoto Suoh). A new cast member, Taku Yashiro joins the K: Seven Stories and plays the character of Daici Yamata. The official website has already shared the trailer for the K: Seven Stories project. K: Seven Stories is directed by Shingo Suzuki. The composition is by GoRa and animation production is by GoHands. Viz Media holds the license for distribution in North America. 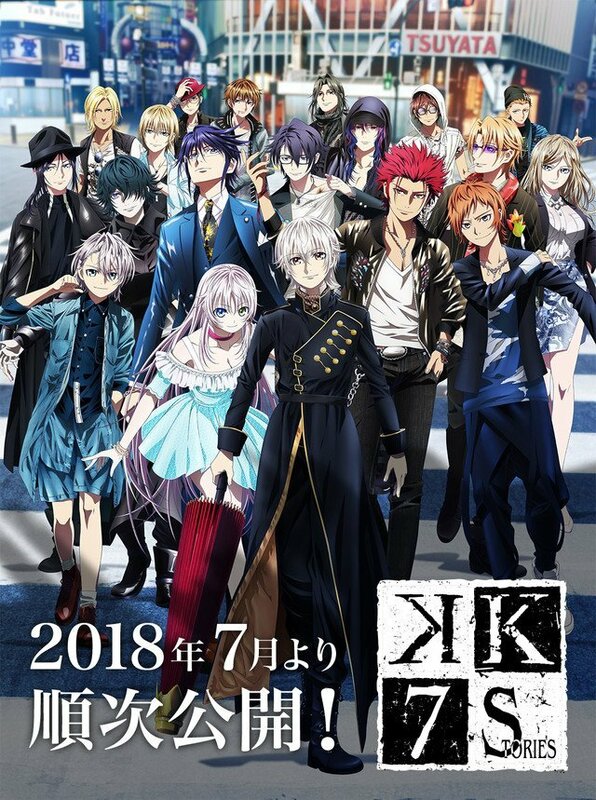 1# K SEVEN STORIES EPISODE 1 “R:B ~Blaze!” – July 07, 2018. 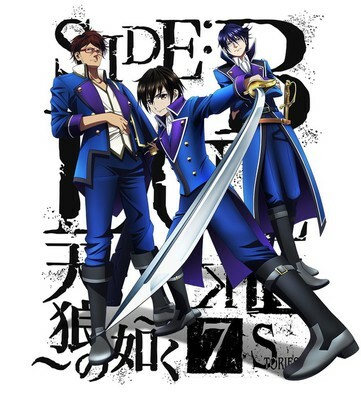 2# K SEVEN STORIES EPISODE 2 “SIDE: BLUE ~Tenrou no Gotoku~” – August 04, 2018. 3# K SEVEN STORIES EPISODE 3 “SIDE: GREEN ~Uwagaki Sekai~” – September 01, 2018. 4# K SEVEN STORIES EPISODE 4 “Lost Small World ~Ori no Mukou ni~” – October 06, 2018. 5# K SEVEN STORIES EPISODE 5 “Memory of Red ~BURN~” – November 03, 2018. 6# K SEVEN STORIES EPISODE 6 “Circle Vision ~Nameless Song~” – December 01, 2018. Also, a spin-off short movie entitled “The Idol K” will screen alongside each episode. 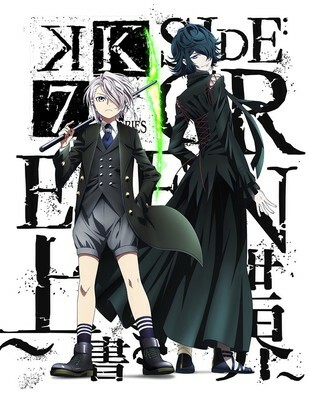 K is an anime about individuals with incredible supernatural powers. Furthermore, Kings have the ability to recruit members to their clans. With the primary duty of protecting their clan members, Kings also aim to increase their influence. In a bid to gain power, the inter-clan rivalry is a natural fallout. All Hell breaks loose for Yashiro Isana, a student when he becomes the prime suspect in the homicide. As the heinous murder of a Red Clansman spreads virally, Yashiro Isana becomes a target for the Red King’s clan. As a result of this confusion, the other clans make moves to take advantage of this situation. In addition, we have the fringe groups and individual with their own aims and goals playing their role to serve their own interests. Consequently, Yashiro is not left with much choice but to make new friends and survive. We can probably expect the upcoming films to add more depth to the story. These movies are actually prequels. The novels are being serialized/animated.